Higher oil prices, an increase in non-hydrocarbon revenues and spending cut helped the Sultanate improve fiscal discipline in 2018, compared to the last three years (2015-2017). However, the continued fluctuation in oil prices made the government take further precautionary measures in 2019 budget, such as deeper fiscal consolidations, enhancing non-oil revenue, advancing strategic infrastructure projects and promoting further economic diversification. Oil and gas revenues are expected to increase by 10 per cent compared to the 2018 budget. Considering the recovery of oil prices in international market during 2018, the 2019 budget is based on an oil price of $58/bbl, which is 16 per cent higher than the budgeted oil prices of $50/bbl in 2018. The average realised price at the end of November 2018 was $68/bbl. As KPMG Oman noted in its budget analysis, if the average price of Omani crude does not rise above $60/ bbl during 2019, the government may need to consider taking further action to control the deficit. 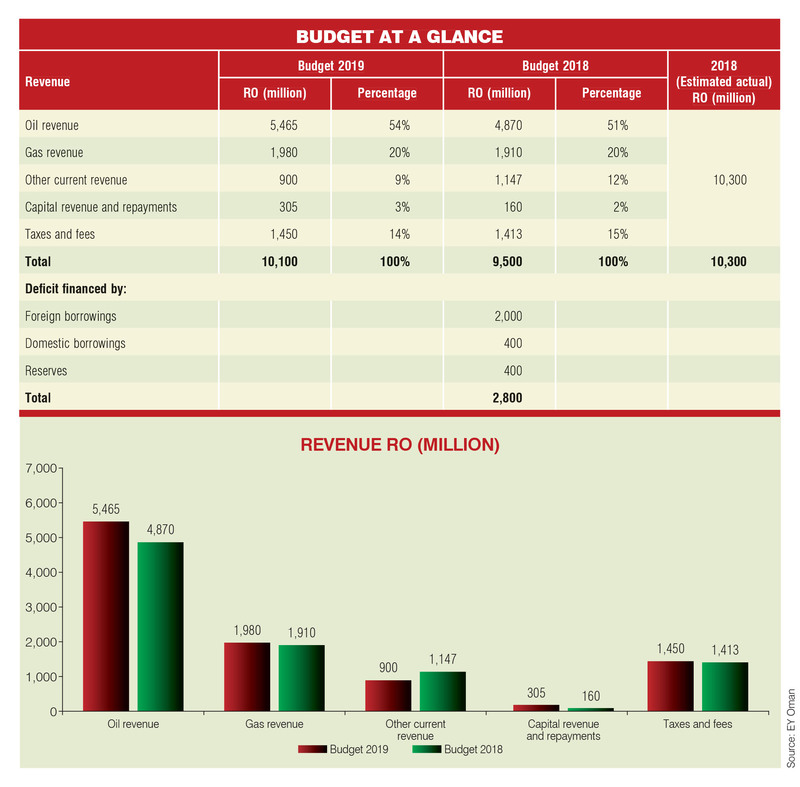 Non-oil and gas revenue is projected to be RO2.65bn, reflecting a 2 per cent decline compared to 2018’s budgeted revenue. 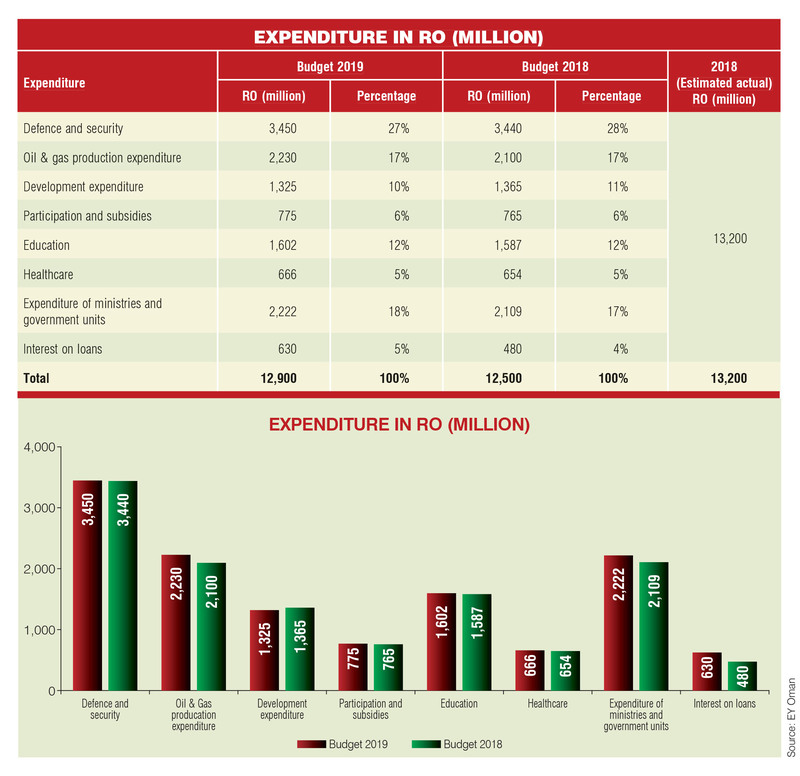 Whilst the total expenditure is projected to increase by RO400mn to RO12.9bn compared to the 2018 budget, this is in fact RO300mn (2.2 per cent) lower than actual spending of RO13.2bn in 2018. Industry experts and analysts Oman Economic Review (OER) spoke to observe that volatility in oil prices has led the government to walk a tightrope, carefully balancing expenditures within anticipated revenues and keeping the deficit at a sustainable level. They opine that the budget aims to allocate sufficient funds to strategic infrastructure projects and continues to push for economic diversification by enhancing participation of the private sector. Alkesh Joshi, tax partner, EY Oman, says that the budget maintains focus on long-term goals of economic diversification, social development and reduction of the deficit by improving government revenues, while prioritising spending in line with available financial resources. “The Sultanate’s economy is projected to achieve a positive growth of 3 per cent at constant prices. 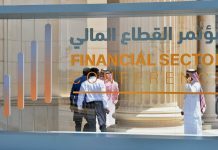 The International Monetary Fund expects Oman to have the highest growth rate among all GCC countries in 2019, which is reflective of positive potential opportunities for local and international investors”, he elucidates. The budget also seeks to improve the investment climate by maintaining an adequate level of public expenditure, promoting public private partnerships and offering support to small and medium enterprises, by assigning a share of government projects to these entities. Joshi observes that the budget has considered its investment expenditure as a critical spend, with the purpose of enhancing the investment climate and resultantly enabling private sector to play greater role in investment projects, thereby creating additional job opportunities in the country. The investment spending includes RO1.2bn specifically allocated for infrastructure projects which are overseen by various government units. Allocations have also been earmarked for utilisation by State Owned Enterprises (SOEs) for the implementation of projects in industrial and services sectors. Such measures will help to boost economic growth and create more jobs. 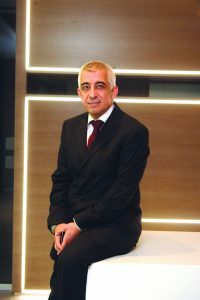 According to Rakesh Jain, tax director-KPMG Oman, the total spending – projected to be higher by RO400mn compared to the previous year’s budget – will drive economic growth. “Despite fiscal challenges, the government has retained allocations for development and defence expenditures at the same levels as 2018, which will have a positive impact on economic activities within the country,” he says. Lo’ai B Bataineh, CEO of Ubhar Capital, corroborates describing the budget as growth-oriented and investor-friendly. The budget is expansionary with spending budgeted to go up by 3.2 per cent YoY to RO12.9bn, he says. The expenditure is divided into current expenditure (73.6 per cen), investment expenditure (20.3 per cent), participation, and other expenses (6.0 per cent). Spending on the investment projects in the year 2019 is estimated at RO3.7bn, of which RO1.2bn will be in key infrastructure projects supervised by ministries and government units. 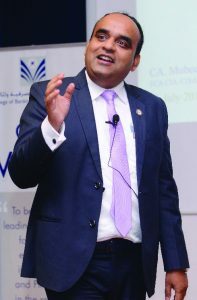 Kanaga Sundar, assistant vice president – research at Gulf Bader Capital Markets, says the budget focuses on fiscal sustainability and implementation of priority projects to achieve the targeted growth rates in line with the ninth five-year development plan. He says the budget is realistic because of the emphasis on implementing key infrastructure projects along with the focus on fiscal consolidation over the medium term. Another prominent feature of the budget statement is the development of a multi-year budget framework (2019-2022), which is one aspect of the six-point action plan identified to achieve fiscal discipline and manage public spending. 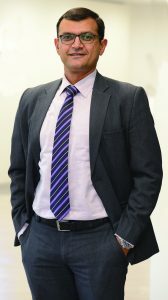 Sundar explains that the multi-year budget framework will include the medium-term estimates of revenues, expenses, deficit and its financing and he believes this would improve the overall planning process and henceforth support the investor sentiments. As per the budget, an investment worth RO1.2bn has been allotted towards the ongoing priority projects. In addition, the state-owned entities are implementing projects worth RO2.5bn towards the development of industrial and services sectors. The total project allocations would remain supportive to stabilise the economic activities and to create jobs and improve overall business environment. Prudent fiscal management continues to be a priority as the Sultanate seeks to keep the budgeted deficit below 10 per cent of GDP. Measures introduced by the government to boost non-oil revenues, supported by an increased efficiency in controls implemented on public expenditure, have notably reduced the budget deficit in recent years. The actual deficit for 2017 was RO3.5bn. The estimated actual deficit for 2018 is RO2.9bn, whereas the budget deficit for 2018 was RO3bn. The budget deficit for 2019 is expected to be RO2.8bn. Jain says the projected deficit – RO 700m lower than the 2017 actual deficit – demonstrates the government’s success in controlling expenditures to reduce the fiscal deficit. These efforts are also aided by increased oil prices during 2018. He explains, “The total expenditure estimated is about 2.2 per cent lower than actual spending in 2018. The GDP is expected to grow 3 per cent in real terms in 2019 and, accordingly, the budget deficit will be approximately 9 per cent of the GDP. Khan puts it in a perspective comparing it with the deficit of RO5.3bn for the year 2016. “The projected deficit for the year 2019 is 9 per cent of GDP whereas it was close to 21 per cent of the GDP in the year 2016. It is pleasing to note that the deficit has now reduced by more than 82 per cent as the government did not increase its expenditure even when oil prices had recovered after the year 2016. Bataineh exudes confidence that lower deficit would result in lesser borrowings and lesser drawdowns from reserves, which will help the Sultanate in improving its credit rating further. Sundar also believes that the medium term objectives of achieving fiscal stability through improving revenue streams and by controlling expenses are aimed at lowering the budget deficit to sustainable levels and reducing the overall public debt. He explains that the government has taken certain measures to control deficit by focusing on increasing non-oil revenues and reducing the current spending within permissible levels. The focus on fiscal consolidation will continue over the coming years and will lead to lower budget breakeven prices. Joshi points out that prudent fiscal deficit management allows the government to increase its expenditure on social welfare and basic services such as education, healthcare and housing. The percentage of total expenditure allocated for these functions are the highest in recent years. Various subsidies currently implemented such as fuel related subsidies, housing and development loans and operational support to state-owned enterprises, are expected to continue. The current expenditure of ministries and government units includes salaries, annual allowances and entitlements, which account for 76 per cent of the total current expenditure. This would have the effect of boosting disposable income in the economy, thereby indirectly assisting in economic recovery. As explained by Joshi, a continued reduction in the budgeted revenues arising from customs duties reflects the Sultanate’s drive to reduce its reliance on imports. The budgeted collection from corporate taxes is expected to remain constant at RO500mn in 2019. A new category of tax revenue, termed as domestic tax, has been included in the budget. This tax, likely to be the excise tax, may be levied on certain categories of goods. The excise tax is envisaged to come into effect during 2019. 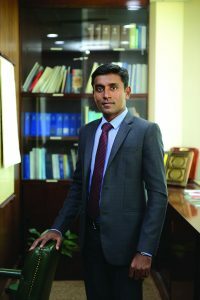 While Value Added Tax (VAT) has not been specifically mentioned in the budgeted revenues for the year 2019, its introduction would likely have a positive impact by further reducing the budgeted fiscal deficit. Jain corroborates saying while the corporate tax revenue is identical to the 2018 budget – the new ‘local tax’ revenue line item is now included under taxes and fees, with a budgeted revenue of RO100mn. Certain other tax measures envisaged by the government include enhancing the efficiency of tax collections and amending rules and regulations pertaining to exemptions of tax and customs duties. These measures, along with preparation for implementation of VAT from 2020, is in line with government’s agenda to increase overall tax revenues over the next few years. However, the budget has succeeded in achieving a balance by continuing the fiscal reforms without stopping social spending. As Joshi observes, the government appears to have given due emphasis on providing high-priority social services for its citizens. 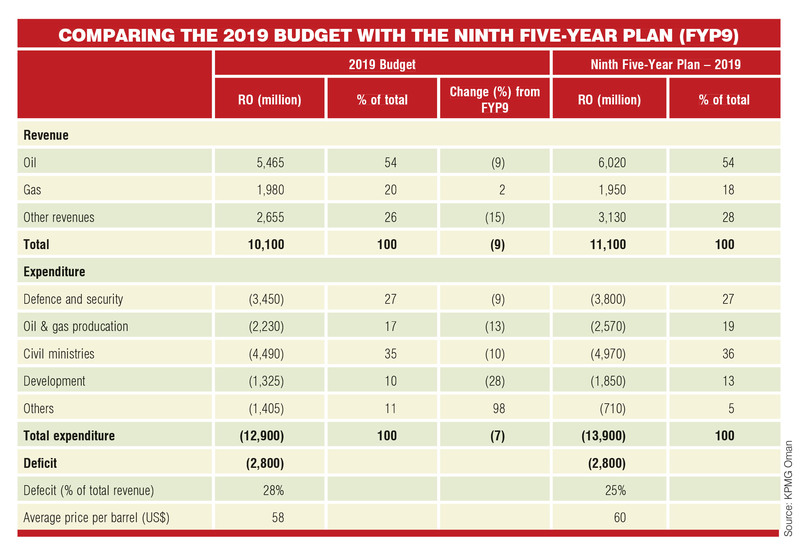 The spending estimated in the budget for basic services such as education, healthcare, housing and social welfare accounts for 39 per cent of public spending, and represents the largest portion of the budget. This is an increase from 32 per cent in 2016, 36 per cent in 2017 and 38 per cent in 2018. Bataineh says on both the education and health care sectors, the government has planned to spend RO2.26bn in 2019, compared to RO2.24bn in 2018, while its support to social security and housing needs of its citizens has been budgeted at RO974mn. According to Jain, this allocation represents the largest portion of the budgeted expenditure. The budget includes creation of 5,000 jobs in the public sector, with a focus on education and the health sector. As part of the government’s policies designed to enhance the skills of Omani job-seekers, the National Training Fund is expected to train 6,170 trainees in order to bridge the gap between education and the job market. “These initiatives demonstrate the government’s commitment to supporting citizens. However, to improve the overall social and economic framework, the private sector will have to play a major role in supporting the government’s initiative to fast track economic growth”, adds Jain. In addition, cooperation among high-priority sectors will be enhanced to identify job opportunities, along with current and future requirements. However, as Alkesh notes, the private sector is expected to play a greater role in creating more job opportunities for the local population as it is involved in all economic activities in the country. As Khan elaborates, the budget outlay on health and education has not been reduced but rather generous increments are proposed to be given to government employees. Increased spending not only sustains but also creates more jobs in the private sector, which will drive inclusive growth. When it comes to the various other subsidies, in spite of abolition of oil subsidy, the government still proposes to spend RO745mn on them. Sundar observes that total subsidy levels budgeted in 2019 remained higher especially with the increase in electricity subsidy because of growing consumption. 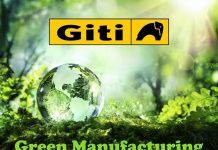 Several efforts are made towards providing targeted subsides especially after the success of similar implementation in oil products. The government’s commitment to the development of non-oil sector gathered momentum during the past few years. Some of the strategic investments towards diversifying the economy away from hydrocarbon sector include Khazaen Economic City project, Salalah Port Expansion project, Duqm Special Economic Zone, in addition to the support extended to establishing multiple manufacturing facilities such as plastics industrial complex, steel factory and pharmaceutical plants. As part of the government’s efforts to achieve economic diversification, Budget 2019 includes allocations for the five targeted sectors identified by Tanfeedh, namely manufacturing, logistics, tourism, fisheries and mining sectors. However, he observes projects and initiatives recommended by Tanfeedh rely to a large extent on the private sector providing finance and investments required to execute these initiatives. Besides financing certain essential projects, the government is also taking steps to focus on facilitating procedures designed to improve the business environment and providing support to the respective sectors. Sundar perceives that the government’s continued implementation of the projects announced in Tanfeedh programme will assist in a steady improvement in economic activities over medium term. Government has taken efforts to remain as a key enabler in terms of increasing private sector participation in the overall economy and to create additional jobs to the young population, he says. “We do believe that efforts would be taken towards balanced diversification programme to achieve its long term objectives. The budget has talked about a number of projects and initiatives taken by the government, state-owned enterprises and private sector as part of Tanfeedh Programme. With the government spending programme to remain critical for economic growth, we have seen increased allocations towards diversification programe in this current year budget,” he adds. However, as Bataineh notes, for the first time in many years, non-oil revenue budgeted for the year 2019 stands lower than the previous year at RO2.65bn, compared to RO2.72bn in 2018, lower by 2.4 per cent. 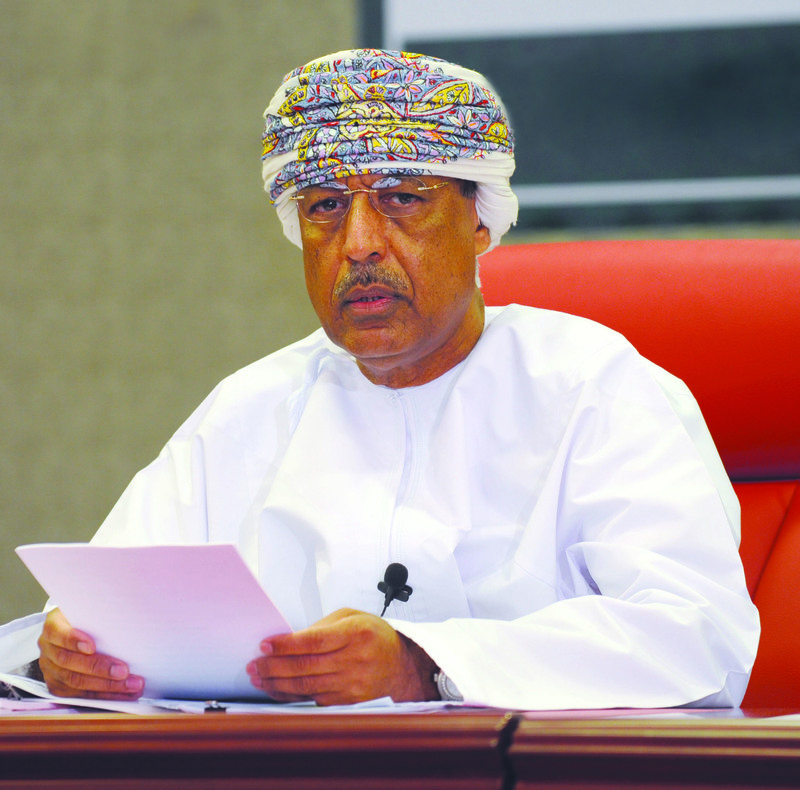 “Over the years, Sultanate has been giving increasing importance to the non-oil sector, so as to cut its reliance on the petrodollars but the efforts are taking longer than expected time,” he says. Bataineh adds the SMEs sector which the government has been focusing on during the last couple of years will also take benefit from the government’s efforts to promote entrepreneurship in Oman. “Government continues to emphasise the sectors highlighted in Tanfeedh and we believe it will continue to boost and support those sectors for long-term economic gains,” he says. In addition, the highly anticipated policy changes in terms of public-private partnership law and expansion of the foreign direct investment opportunities into the country will be vital for Oman to achieve economic diversification. As Joshi puts it succinctly, the Sultanate’s economy has proved to be able to maintain positive economic growth, despite the challenges posed by the oil price fluctuations in the international market. Looking forward to fiscal year 2019, the economy is projected to grow and make progress towards economic diversification. However, the most important challenge remains Oman’s substantial reliance on oil and gas, which constitutes 74 per cent of total revenues. Jain says any deviation in oil and gas prices will have an impact on economic policies and growth. As Sundar notes, with the sharp fall in oil revenues since 2014, the government has followed a policy of adjusting its expenses without any social and economic implications. “Despite recent volatility in oil prices, the government has set out a balanced budget, taking into considerations the economic slowdown and aimed at achieving fiscal sustainability through increasing non-oil revenue and rationalising public spending over the medium term,” says Sundar. He estimates the oil prices to trade between $55-65/ barrel over the medium term and believes that the key challenge for the government would be to revive the non-oil revenue stream and to bring down the budget breakeven oil price to a sustainable level over the next three years. These challenges have to be managed through ongoing diversification of government revenues, says Jain. According to him, upskilling of the youth, so as to meet the industry demands and generate valuable employment, continues to remain a priority. 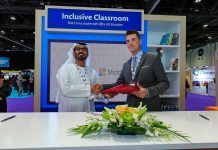 Investment in higher education to bring in world-class institutions, focus on vocational training programmes and support from the private sector are key to overcoming this challenge. The cost of expected government borrowings envisaged to meet the fiscal deficit will play a vital role in the fiscal policy measures going forward, adds Jain. “Quick implementation of key projects and continuous enhancement of investor-friendly policies will go a long way, in order to make Oman an attractive economy in the region,” he concludes. Considering the global geo-political conflicts and trade tensions, Budget 2019 is courageous and continues to have a bigger expense agenda, compared to the previous year, with a focus on investment in infrastructure and social welfare.